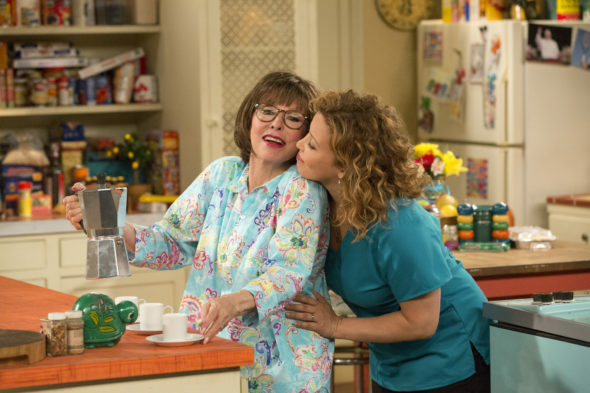 Can One Day at a Time be saved? According to Deadline, Netflix has a restrictive contract that could keep the cancelled TV show from moving to another network. As reported earlier, the streaming service has cancelled the comedy series after three seasons. The cast includes Justina Machado, Rita Moreno, Isabella Gomez, Marcel Ruiz, Todd Grinnell, and Stephen Tobolowsky. Although there have been several pleas for another network to save One Day at a Time, including one from Lin-Manuel Miranda, Deadline says Netflix‘s contract with the show could prevent it from moving. Apparently, the streaming service typically restricts cancelled shows from airing on another SVOD service for two to three years. However, if a linear network like ABC or CBS were to pick up One Day at a Time, the waiting period would only be a few months. Hey @ABCNetwork, looks like a perfect fit to me. What do you think? Are you a fan of One Day at a Time? Which network would be a good fit for the series? this is a great show, something should be done. Great show….Netflix is losing me with them taking off such great shows. The chemistry between the players is wonderful. What is wrong with NEFLIX???? I love ODAAT and feel that Netflix has made a huge mistake. They did not advertise the show well enough. How can you not love the cast, especially Rita Moreno who is larger than life. I really wish they would pick the show back up or talk to ABC. They have truly left a bad taste in my mouth. My daughter loves this show and was very upset about it. She even wanted to become a character if possible. Change the name, some of the story. New show. Everyone keeps their job. I will let Netflix go and encourage everyone to do so. The Hispanic community is powerful. Beware Netflix.